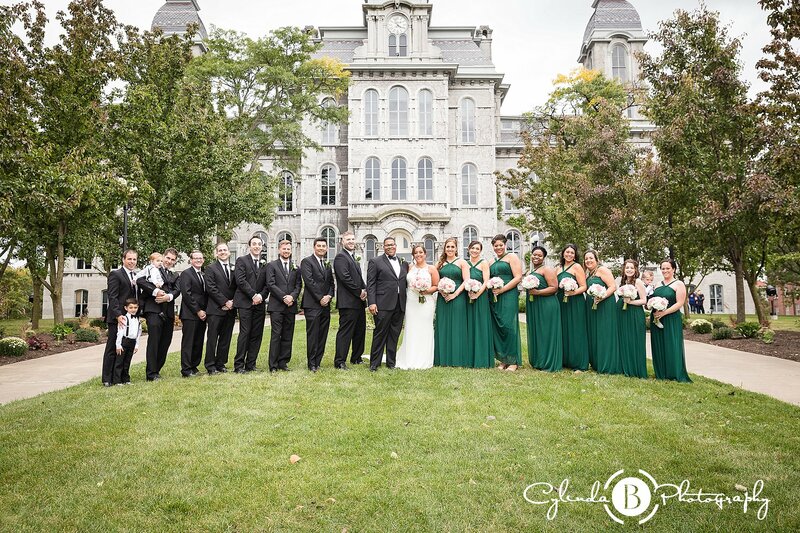 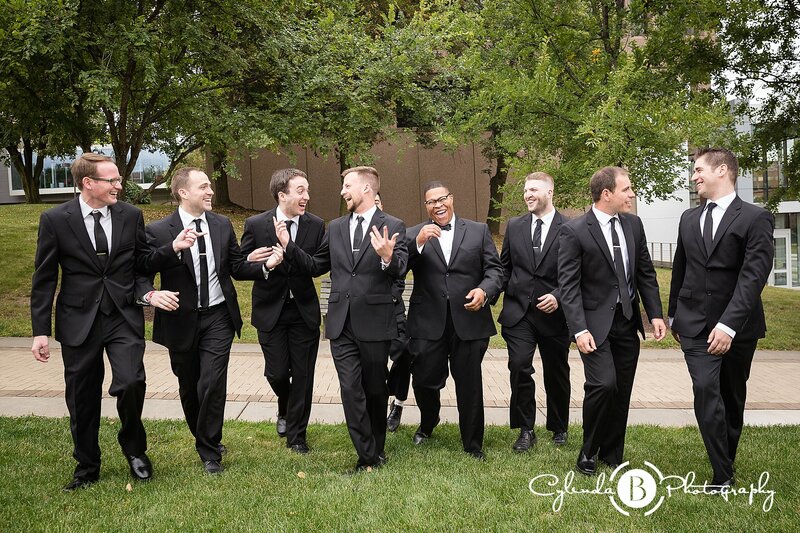 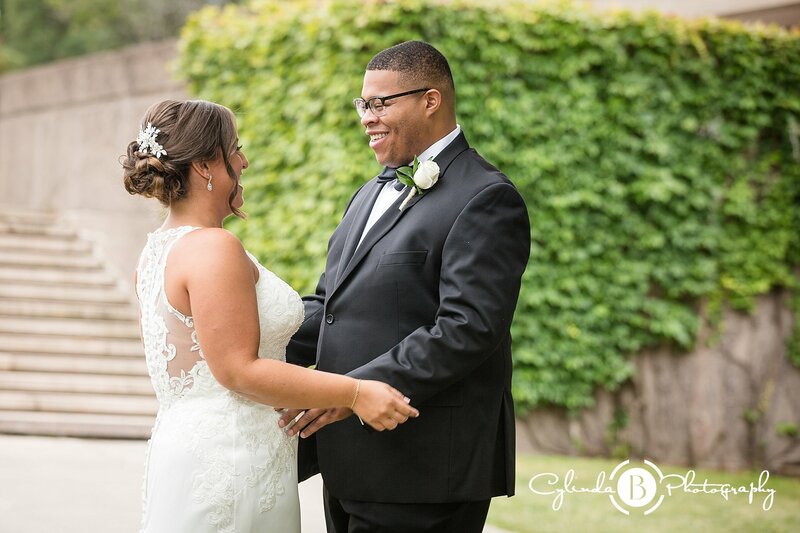 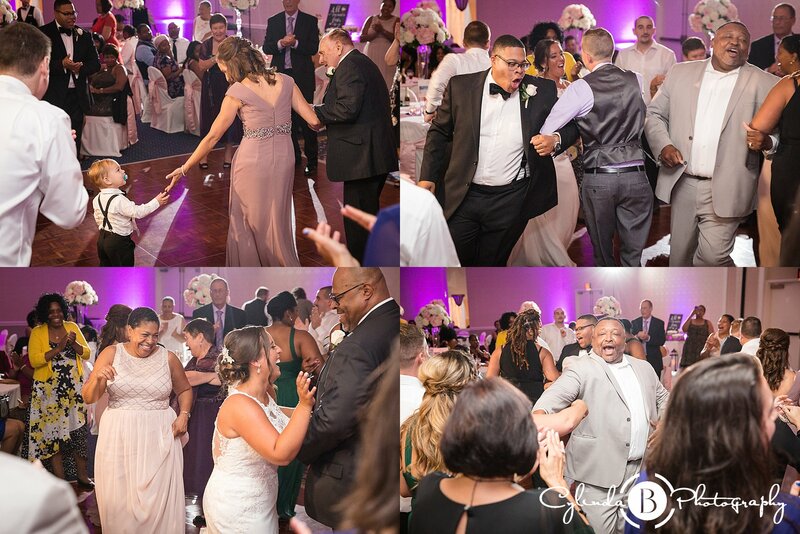 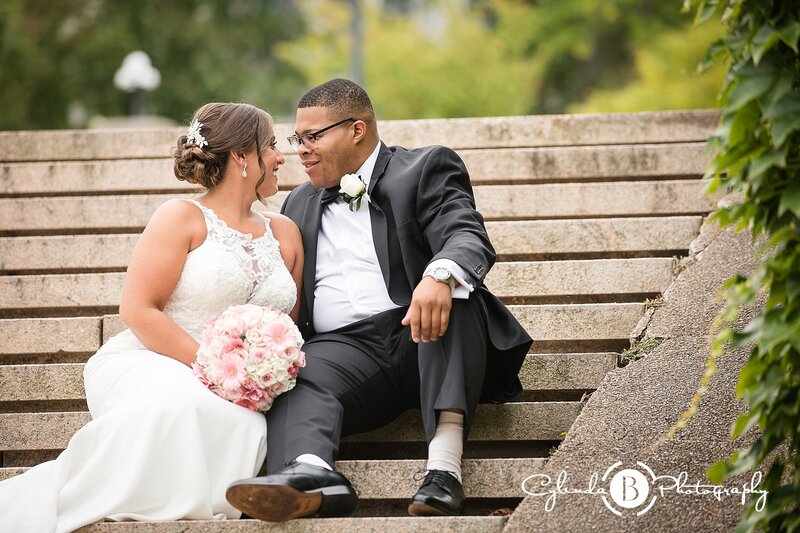 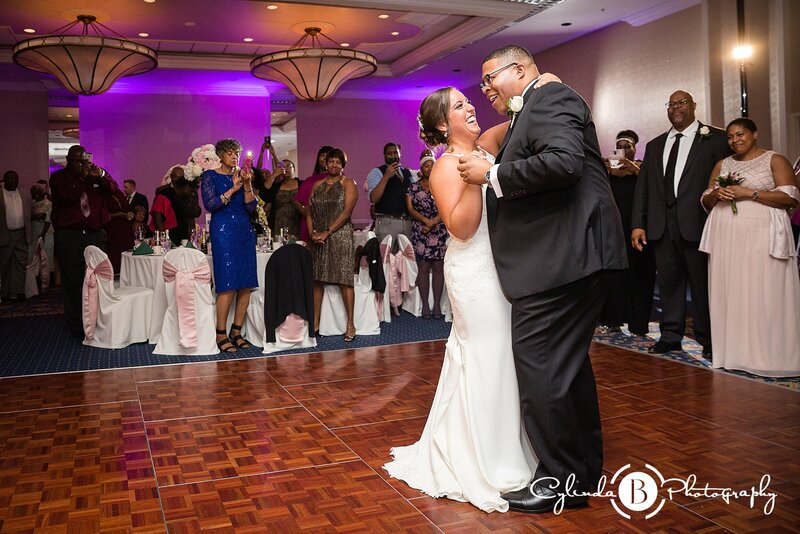 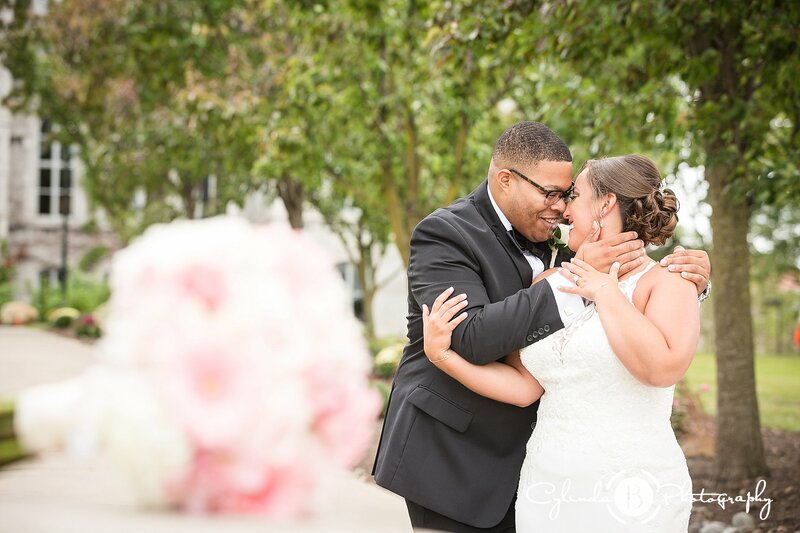 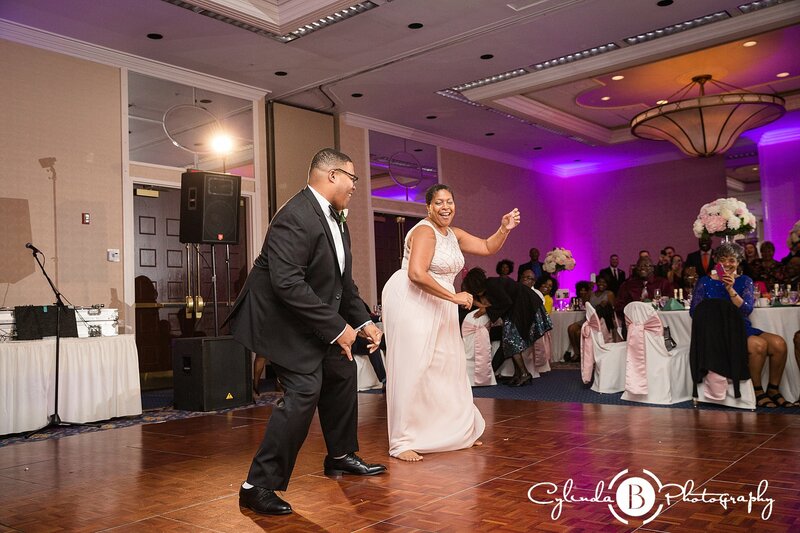 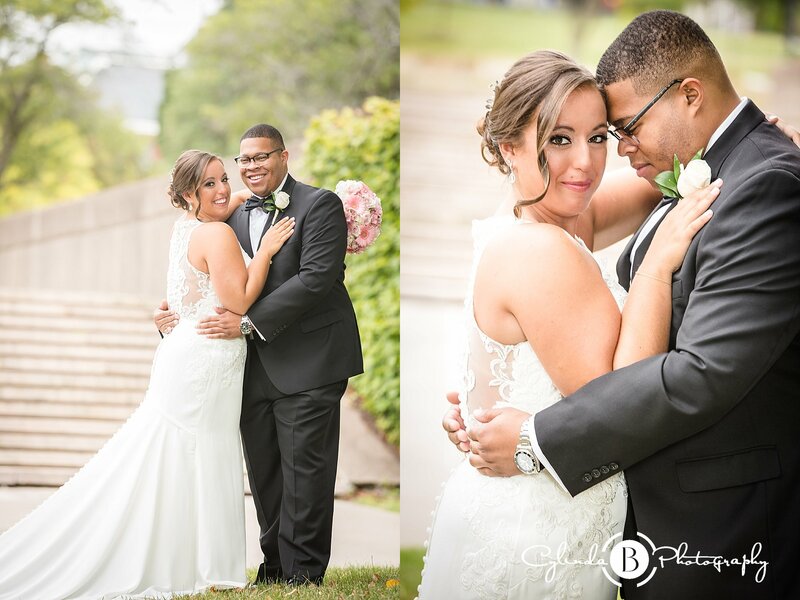 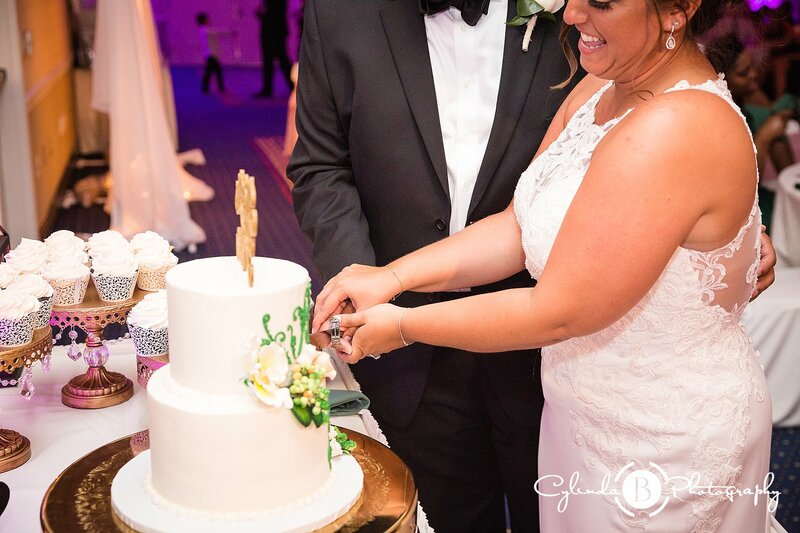 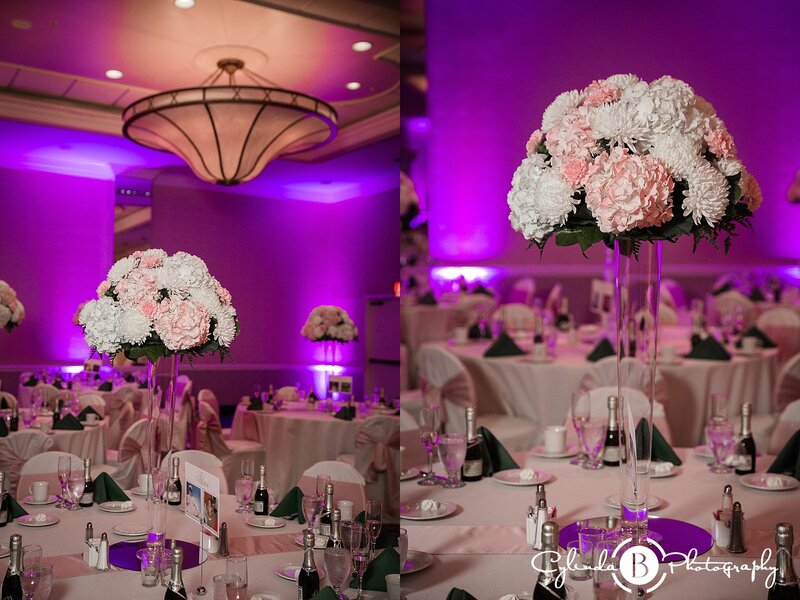 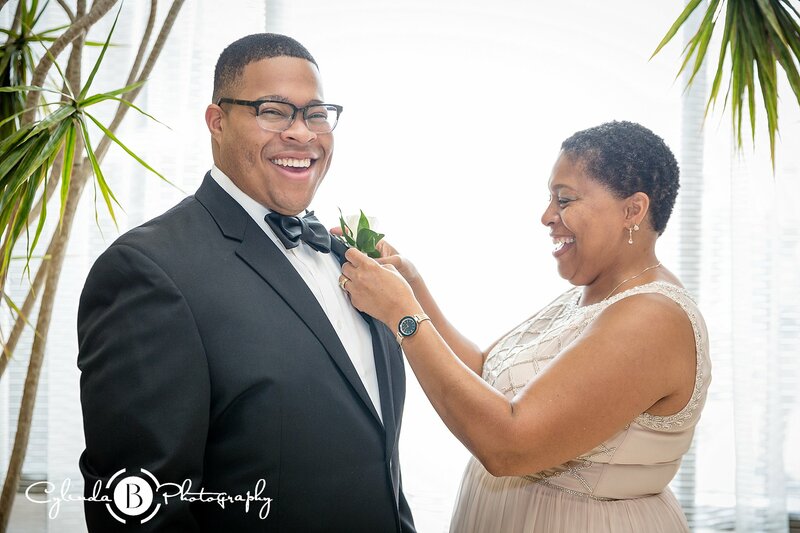 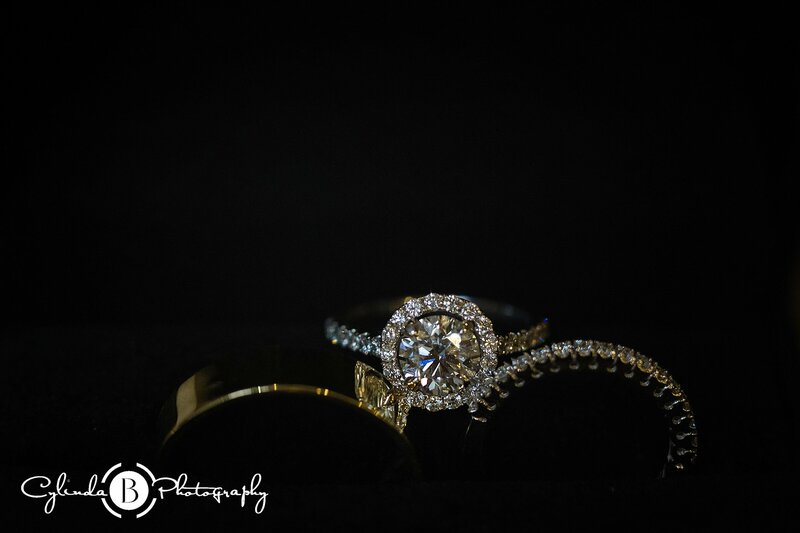 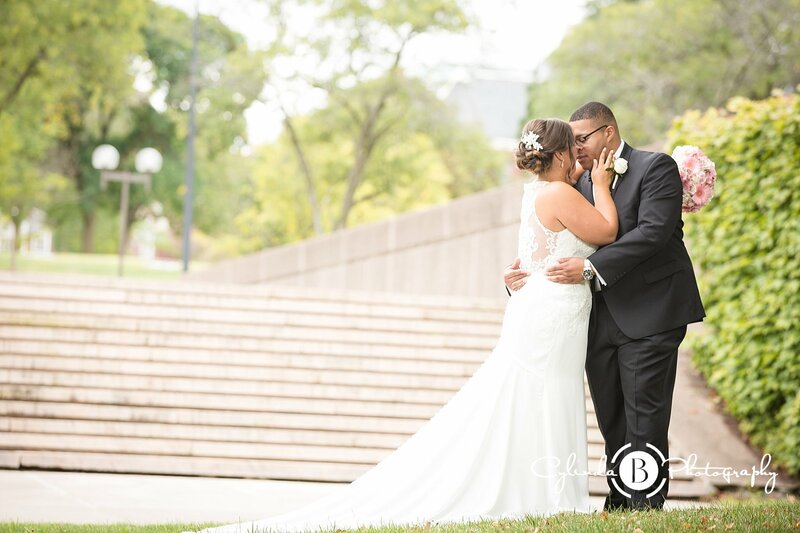 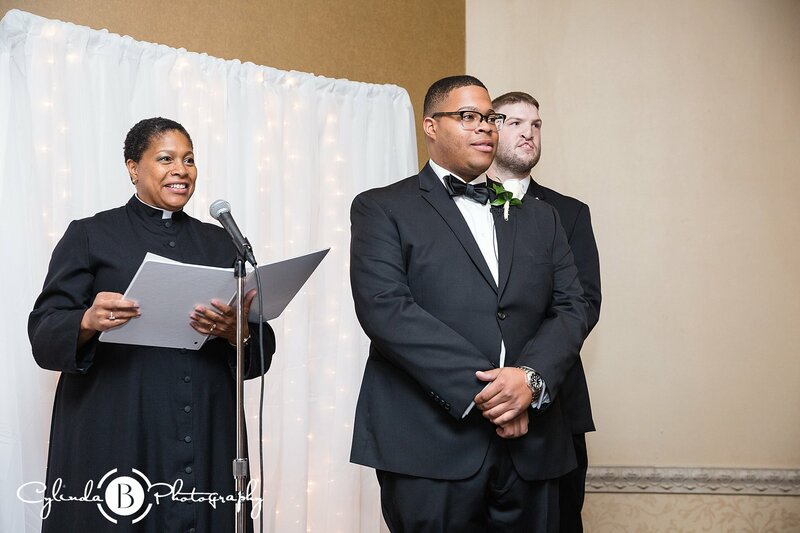 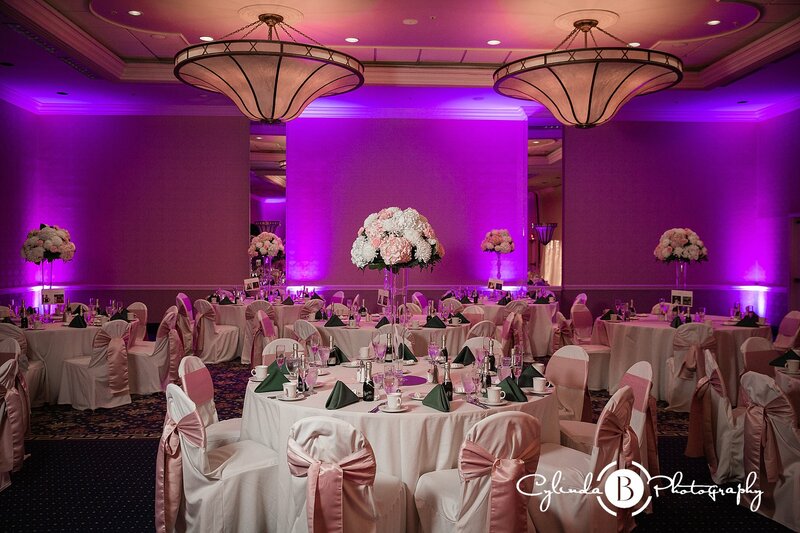 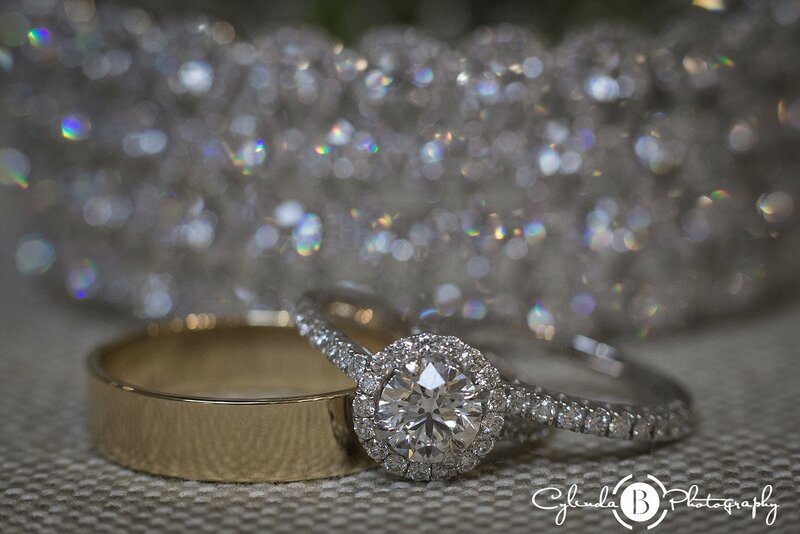 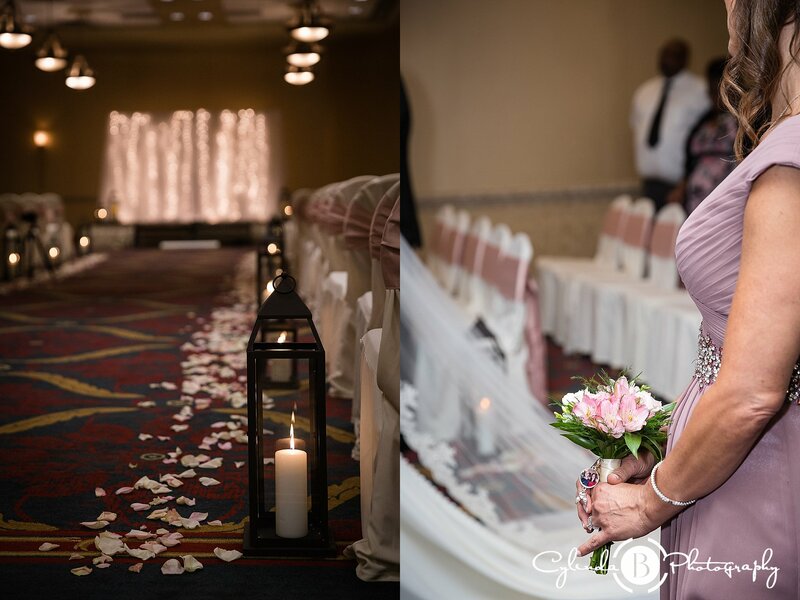 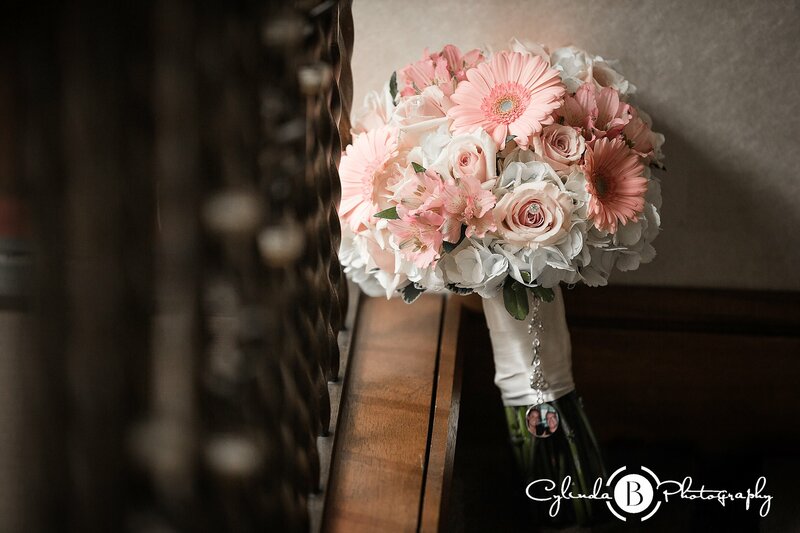 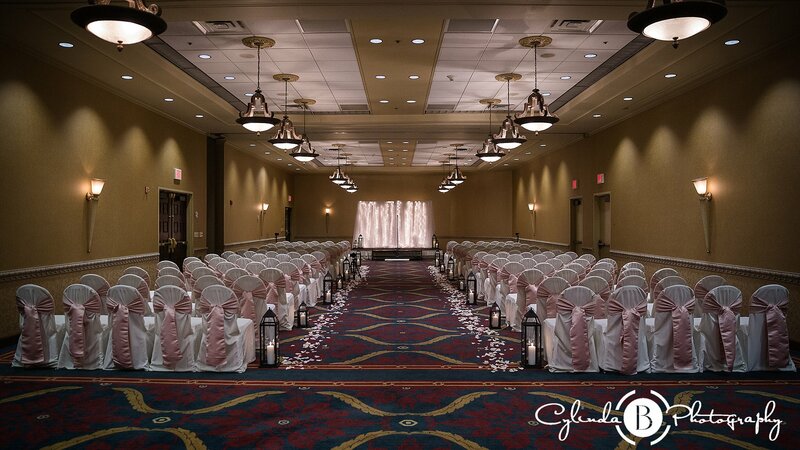 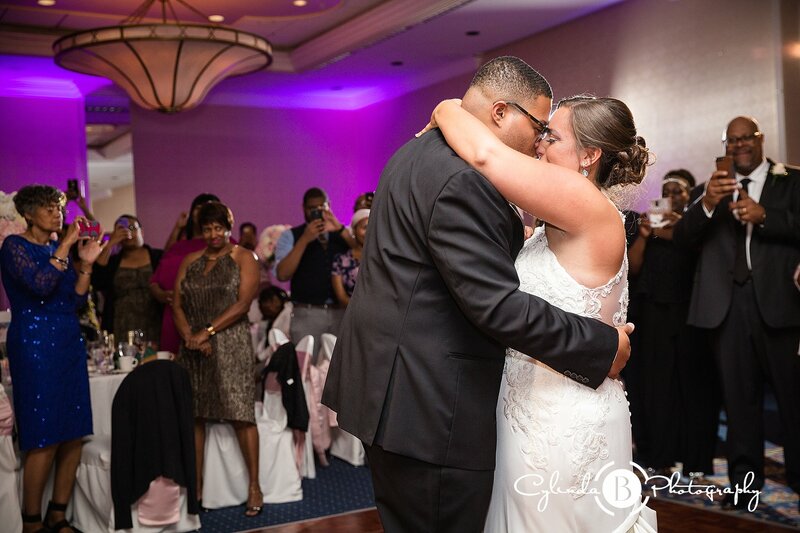 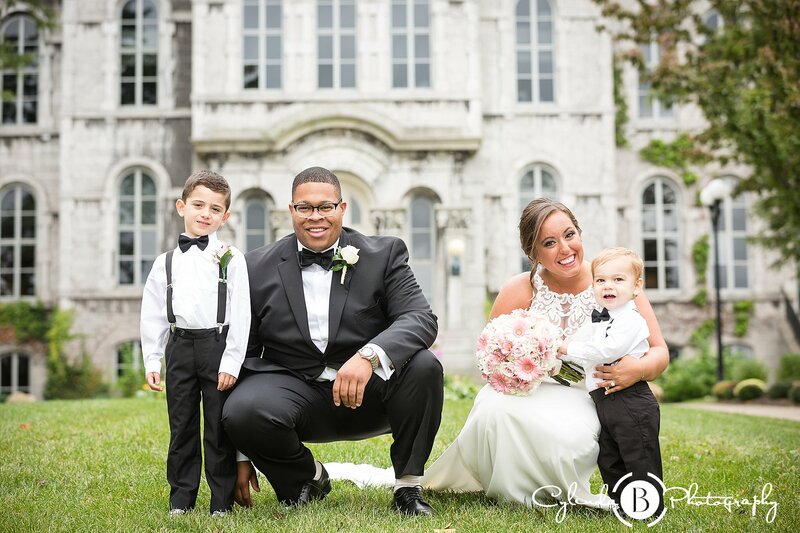 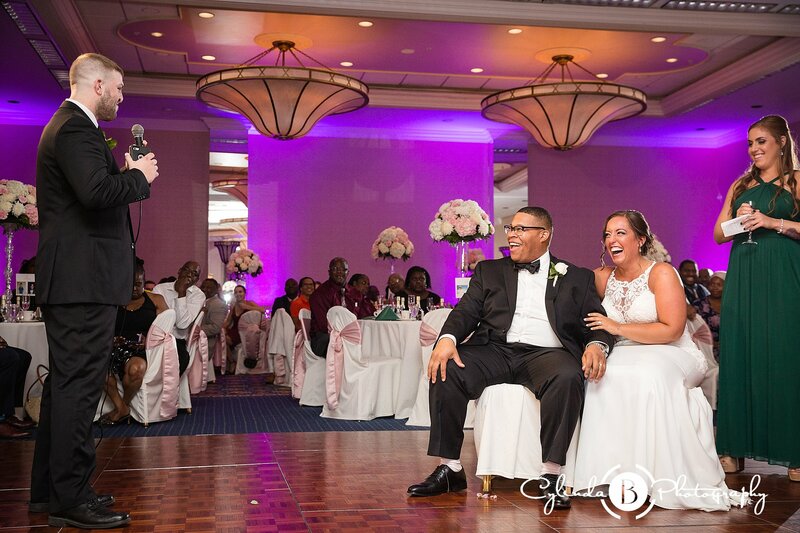 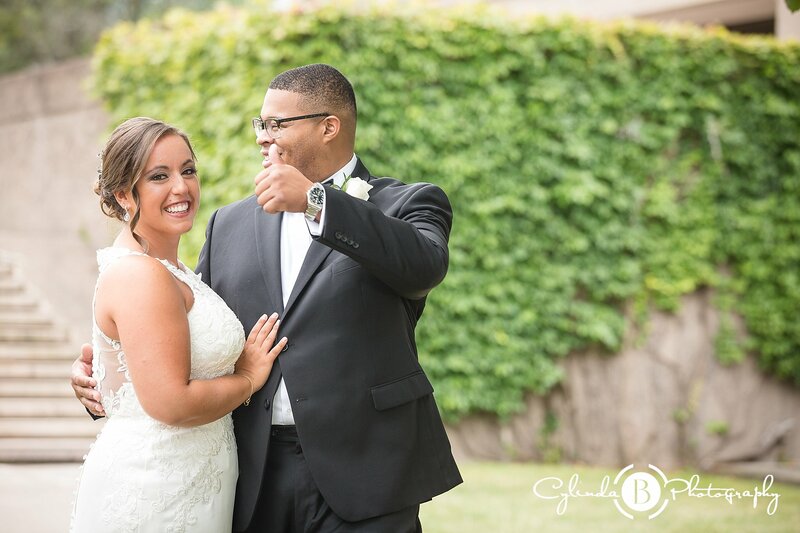 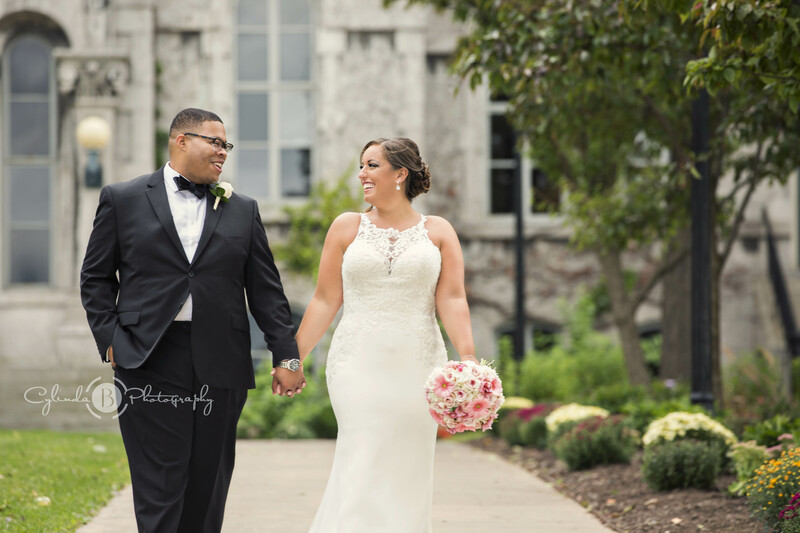 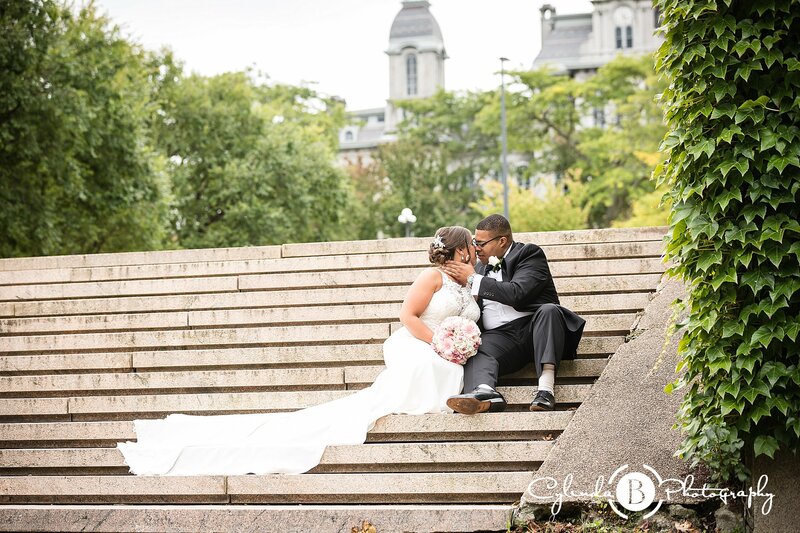 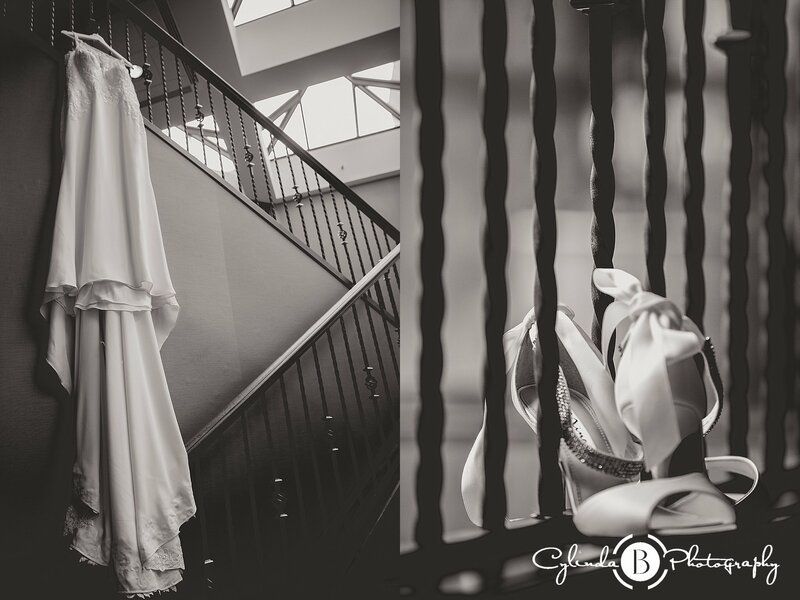 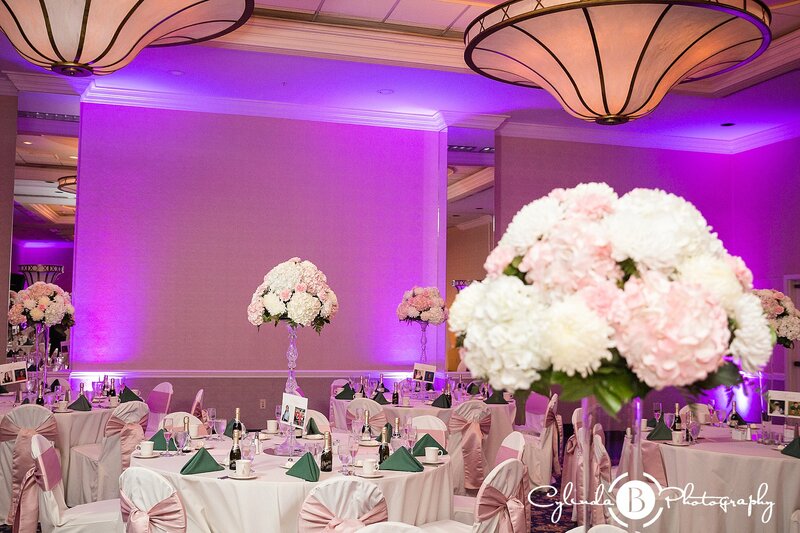 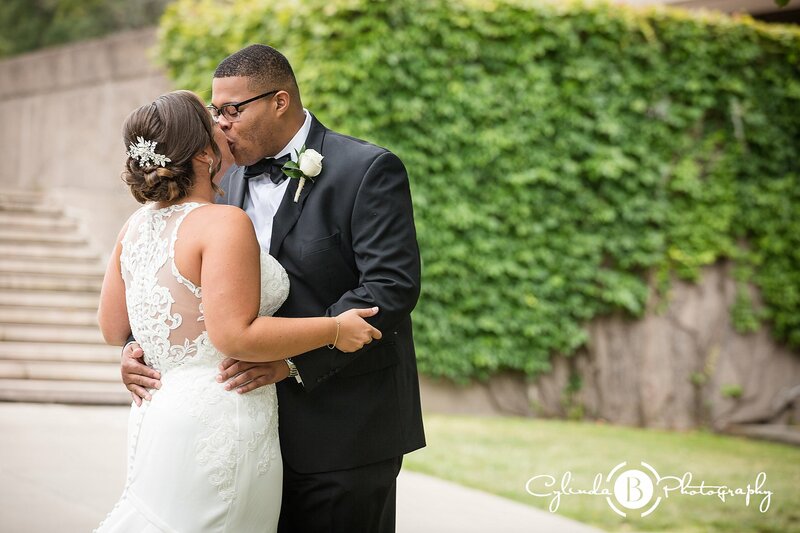 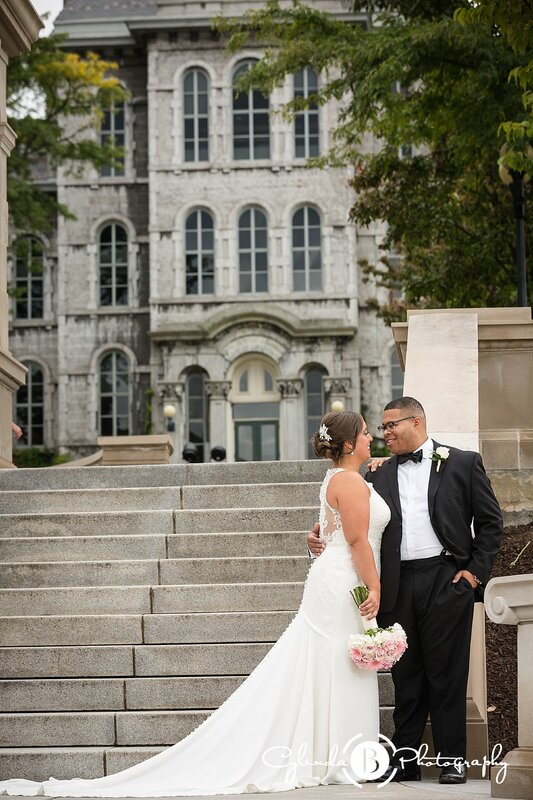 Jerryl & Melissa became man and wife at the Sheraton Syracuse University Hotel a few weeks ago. 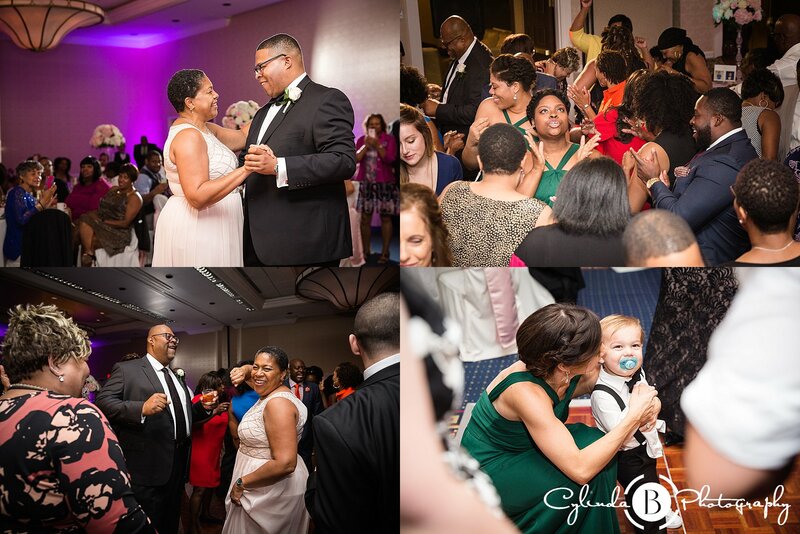 So many touching, beautiful, emotional moments today. 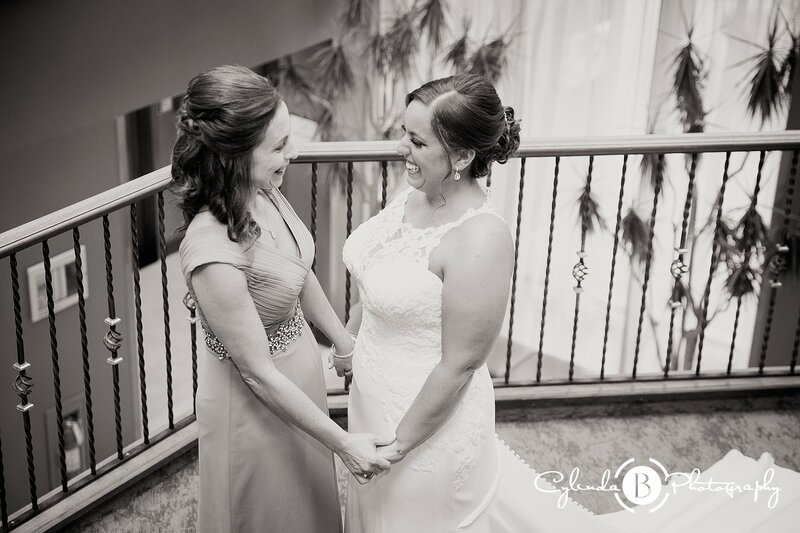 We started the day with the girls getting ready, we entered the room that was filled joy & laughter and we knew right then today was going to be so much fun. 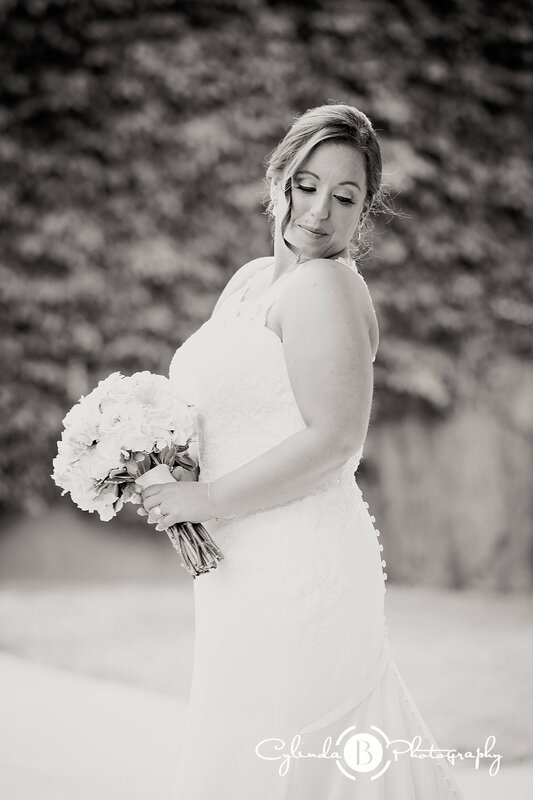 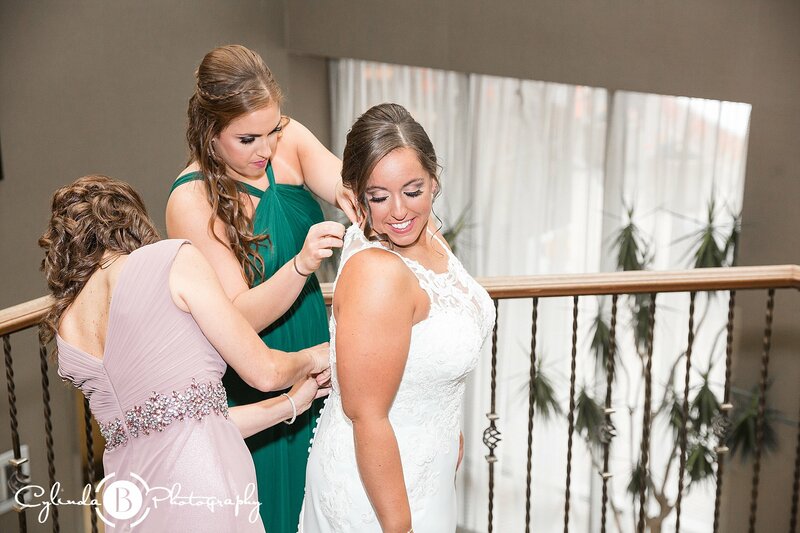 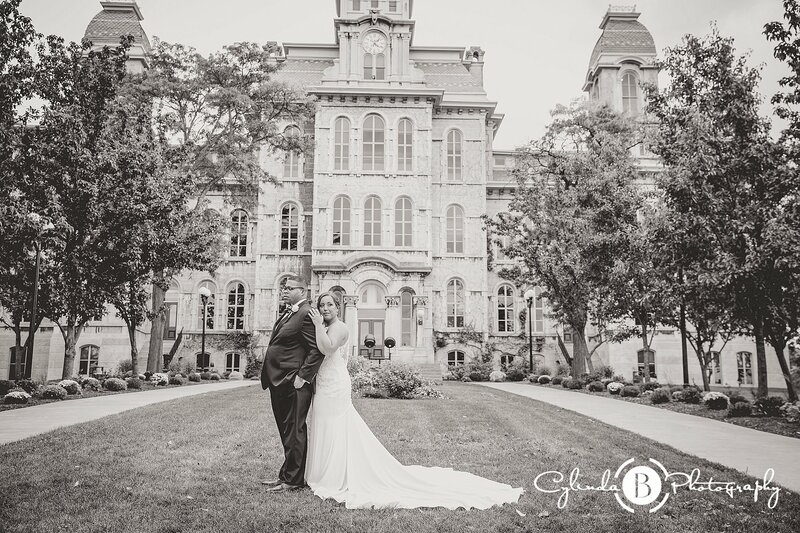 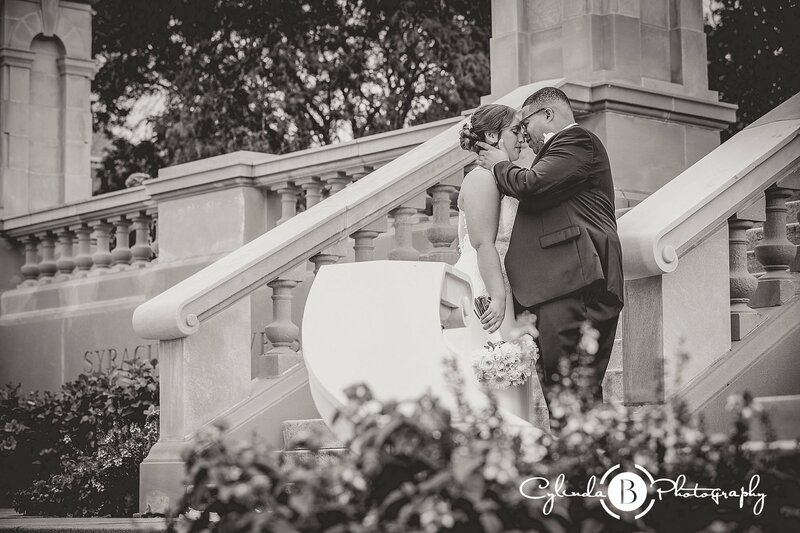 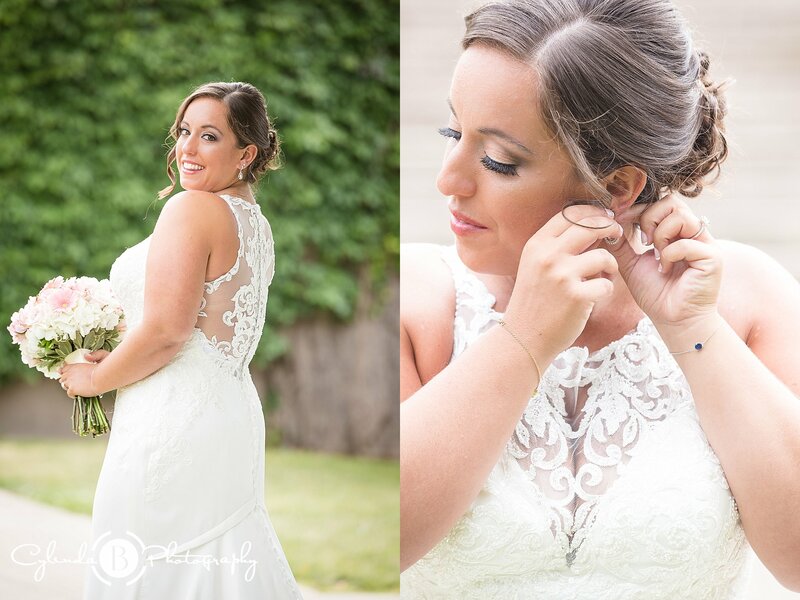 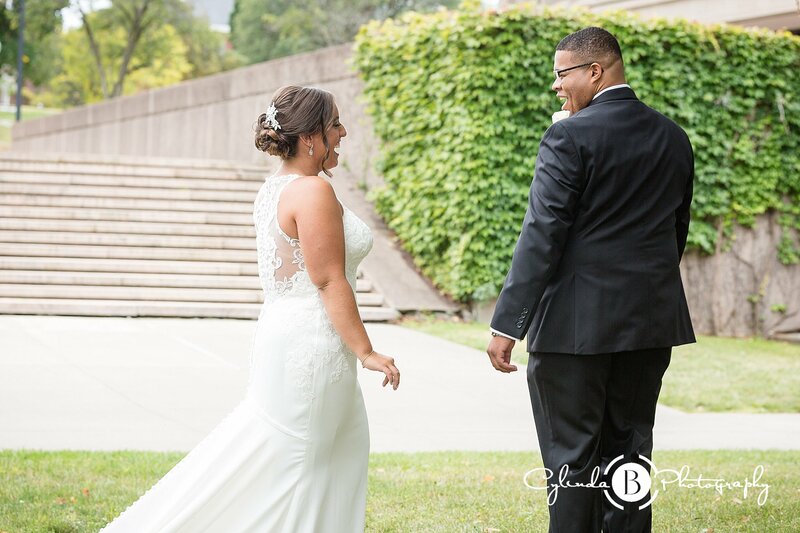 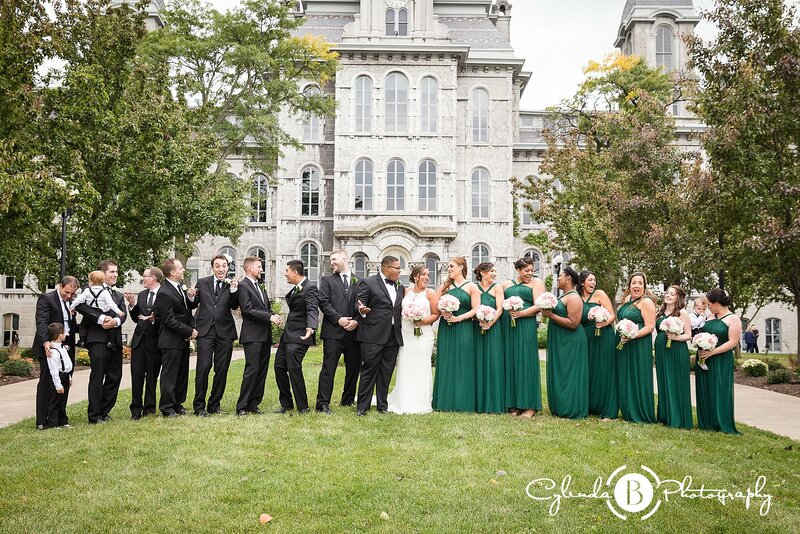 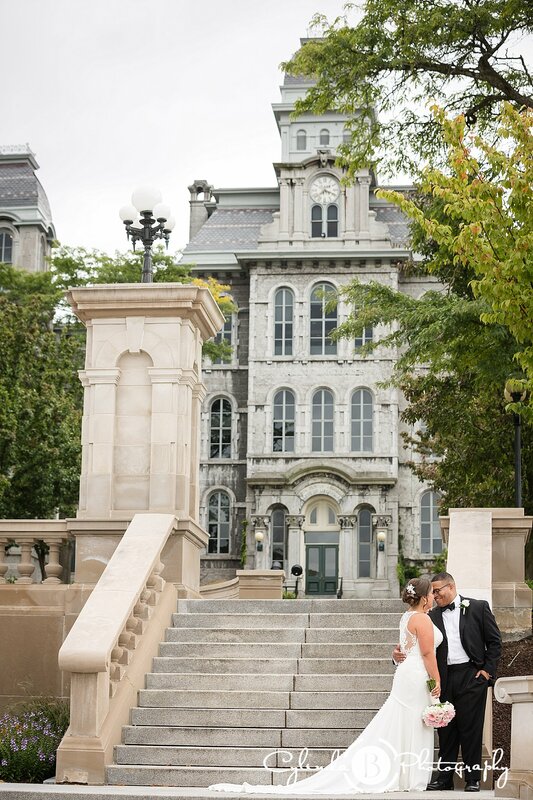 After Melissa was ready she made her way to the hall of languages where her Groom was waiting to see her for the first time, with so many SU fans heading to the game cheering her on and witnessing this moment! 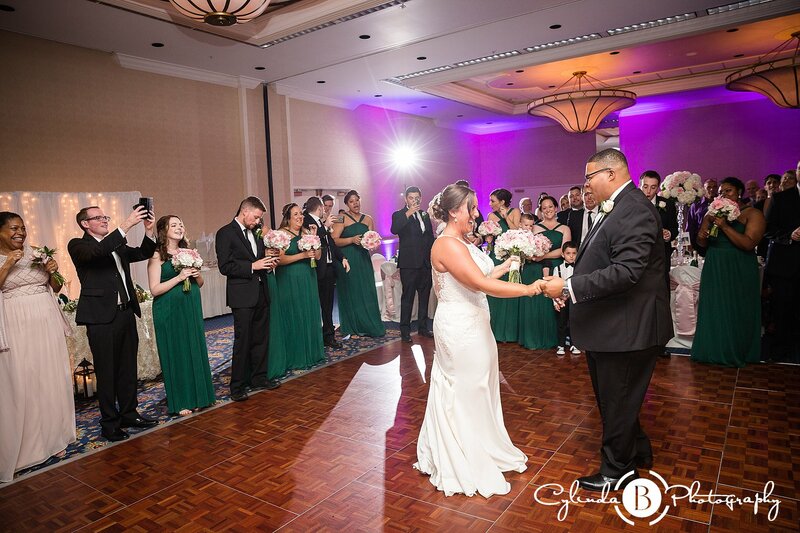 His face, the fans cheers, and the happiness in their eyes made a beautiful first look Moment! 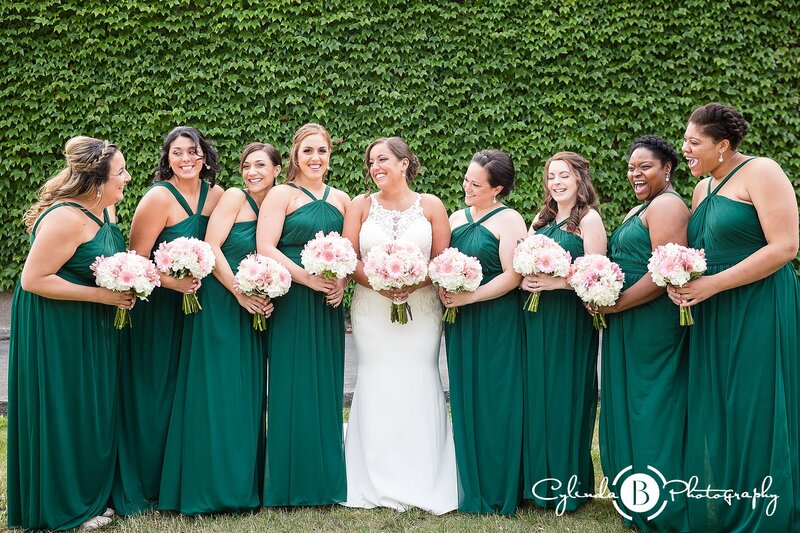 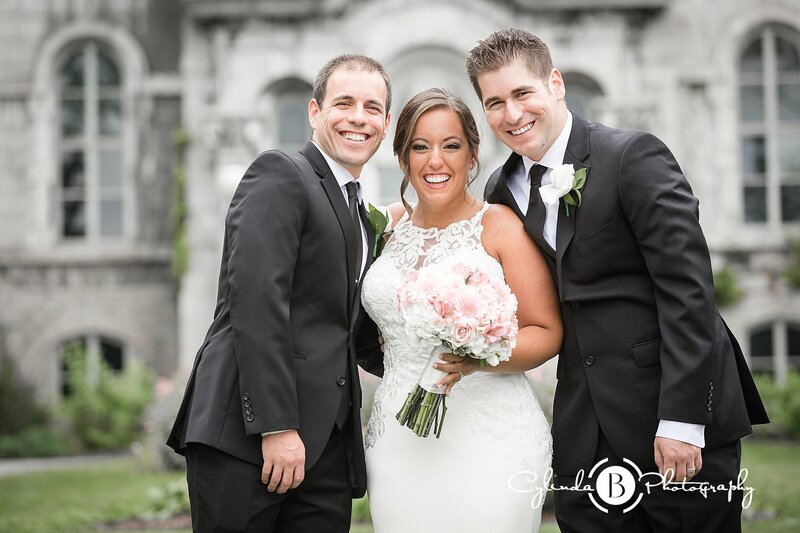 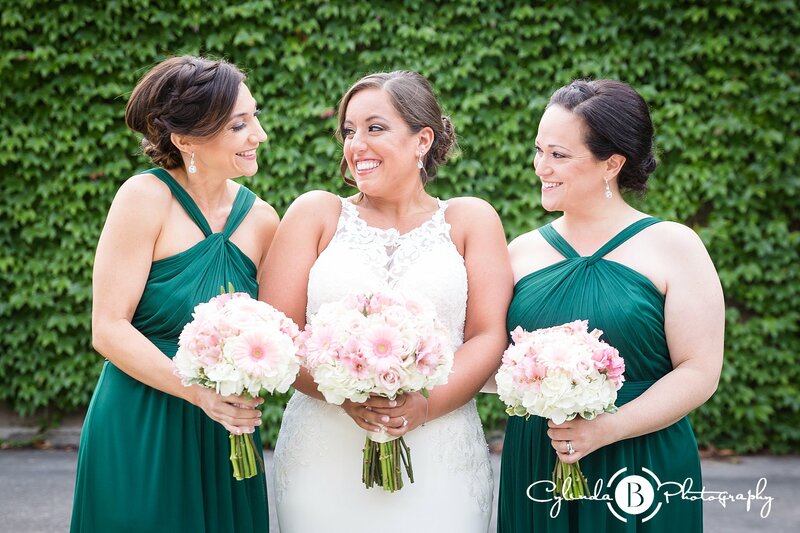 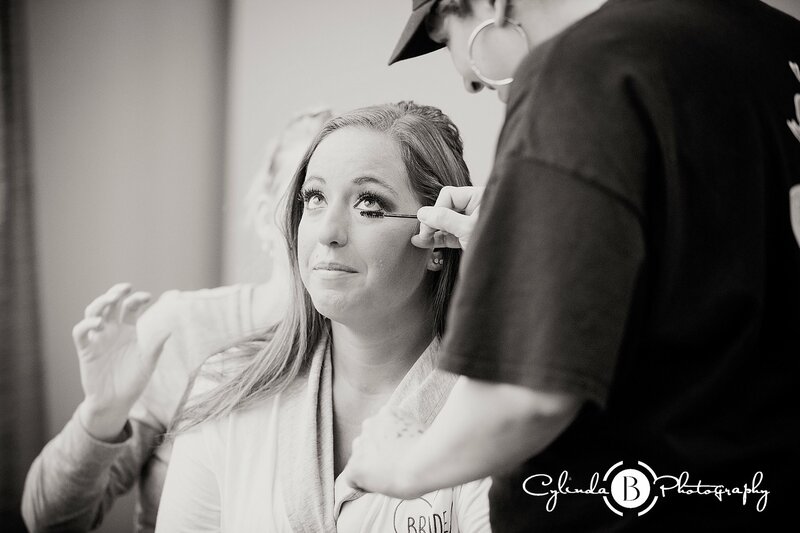 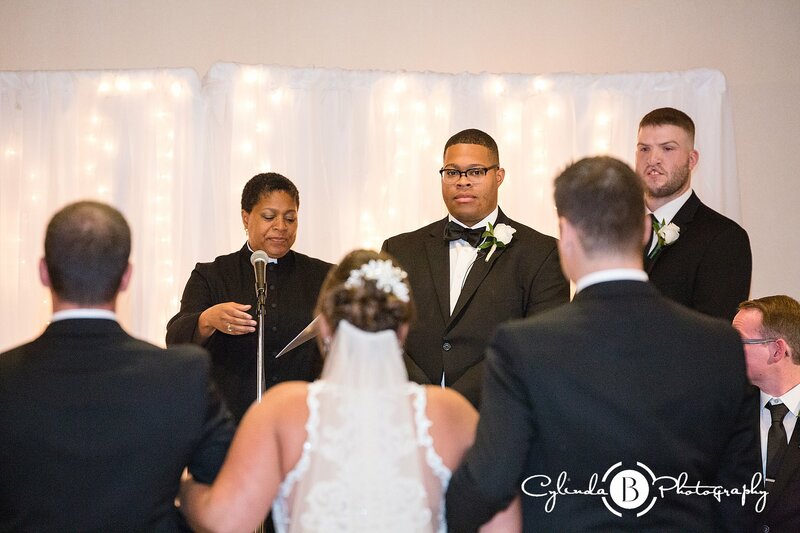 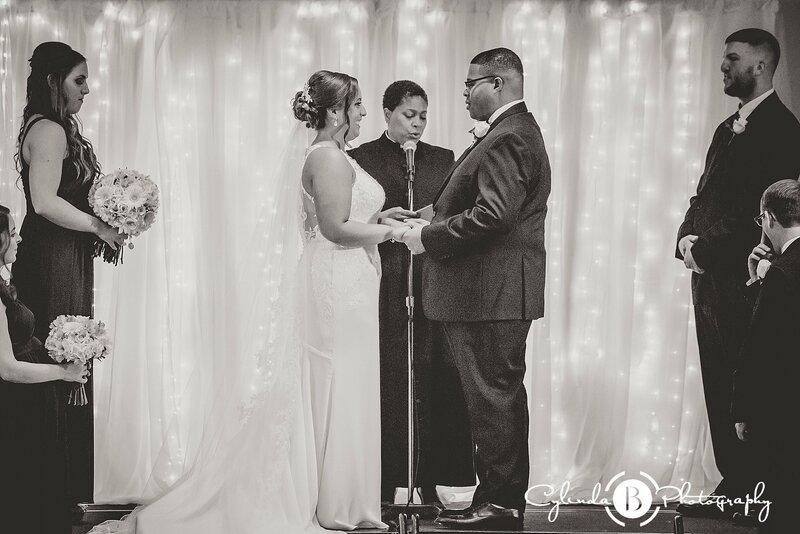 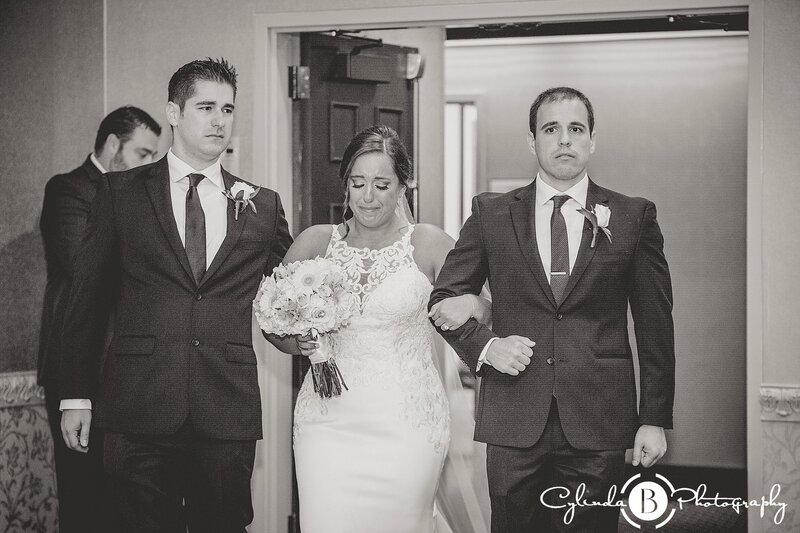 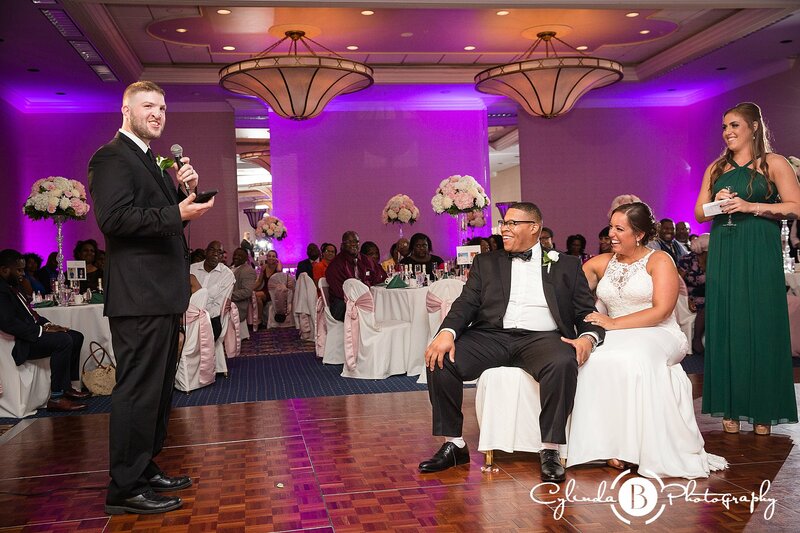 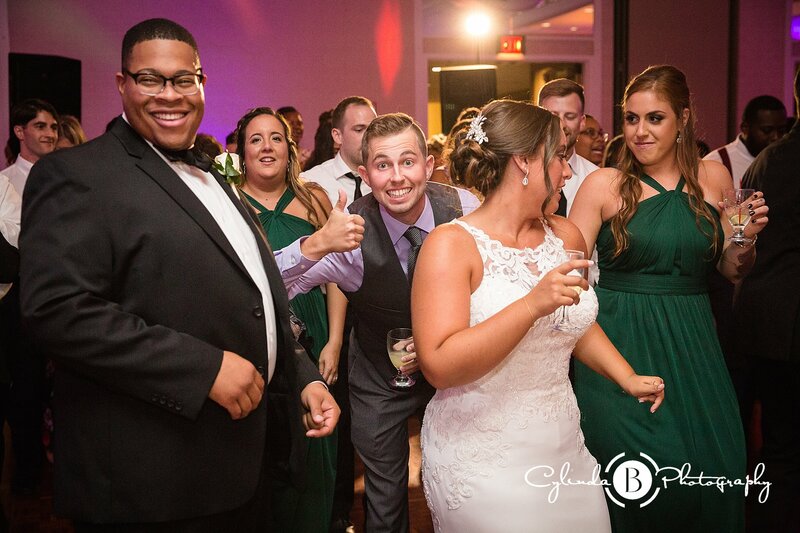 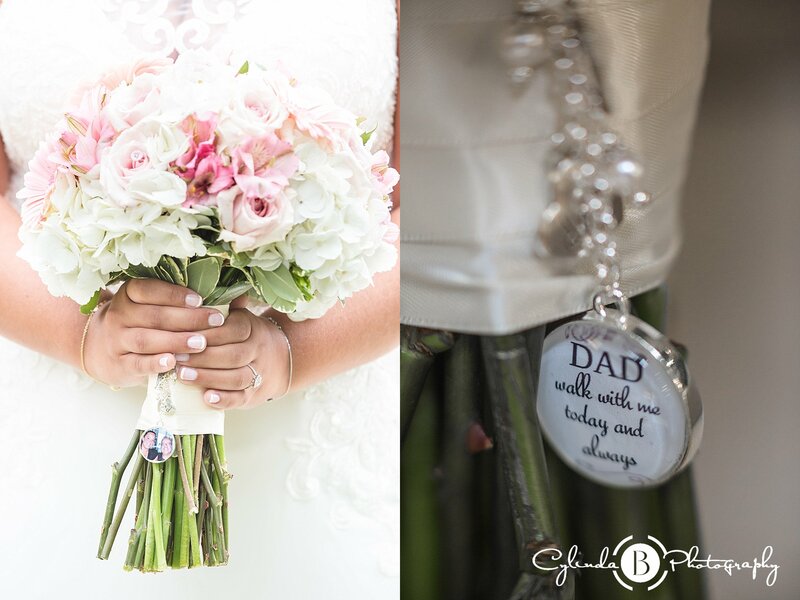 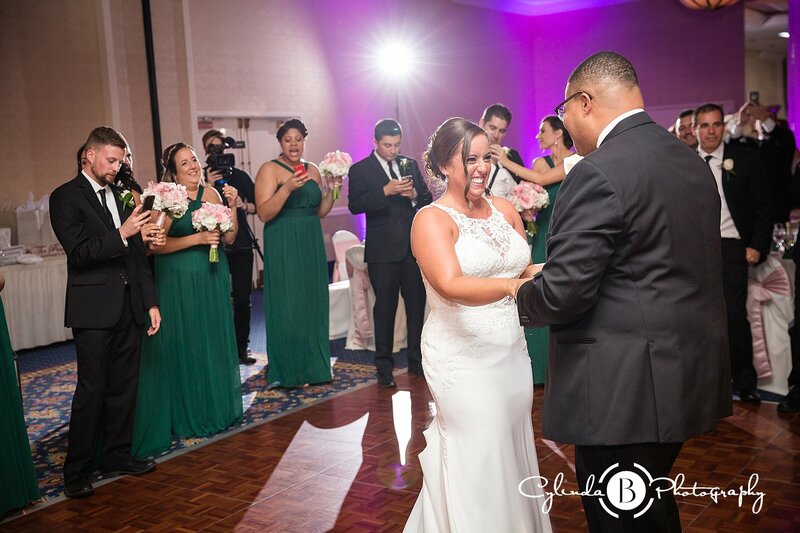 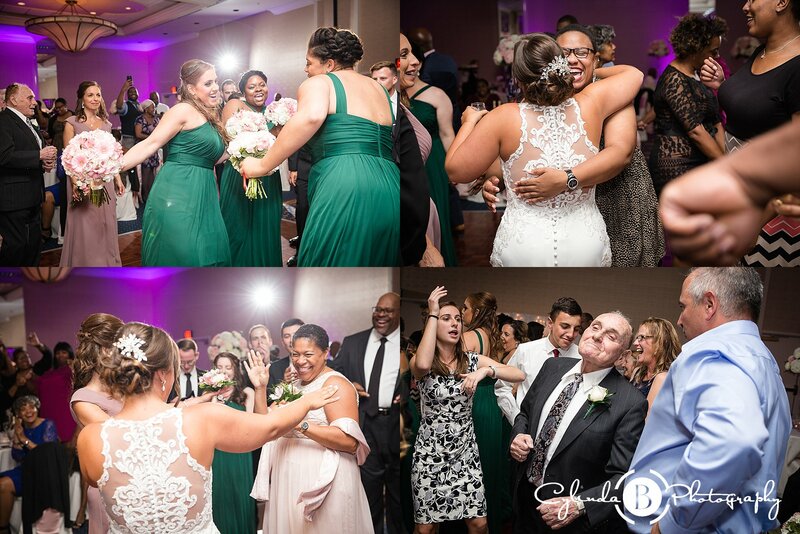 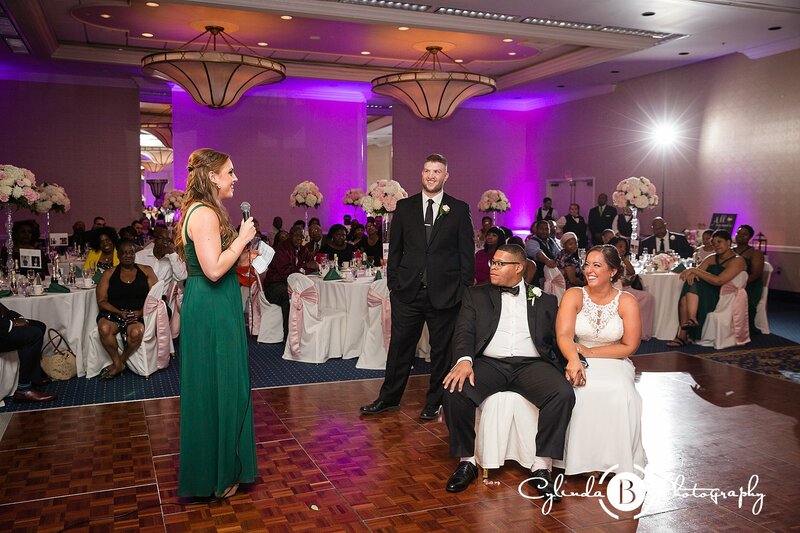 As the ceremony began tears fell as Melissa’s brothers walked her down the isle to give her hand to Jerryl, there wasn’t a dry eye in the room. 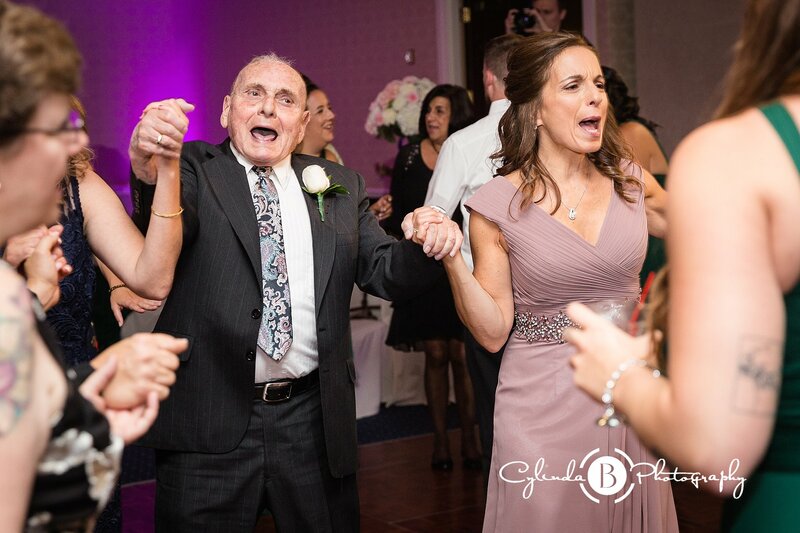 Her dad was absolutely looking over this beautiful moment in her life. 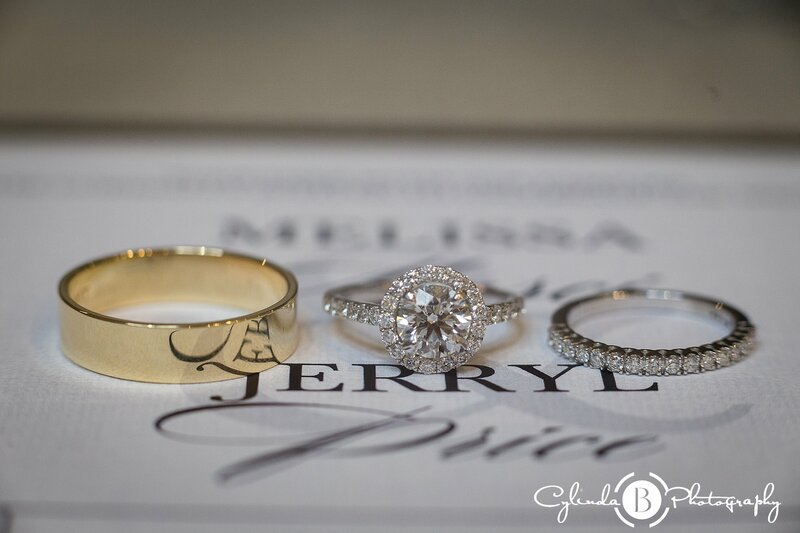 They were married by Jerryl’s mom which also made the ceremony so special. 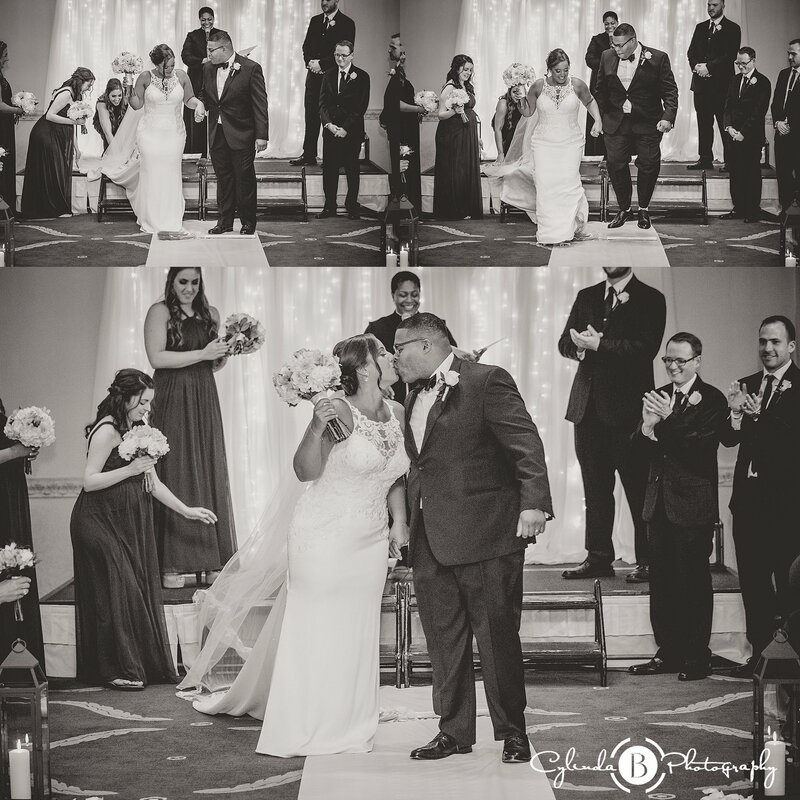 With there vows, a kiss, and a jump over a broom stick they were man and wife! 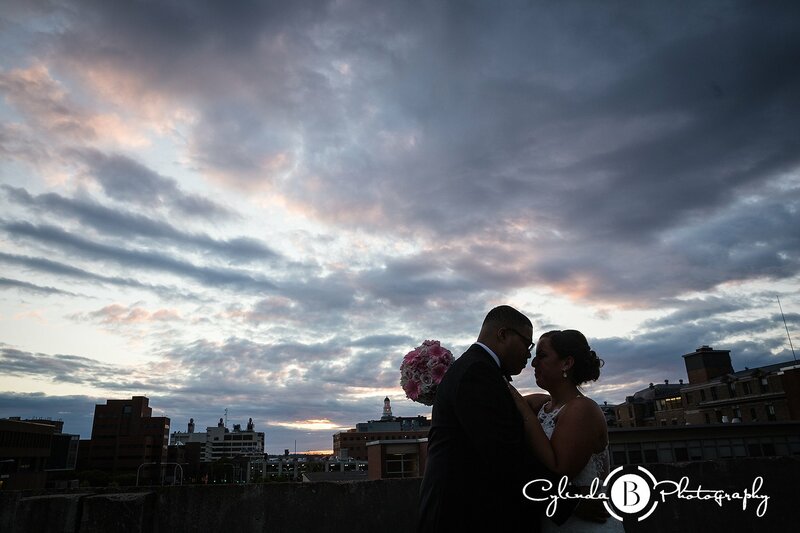 A rooftop takeaway moment for these two! 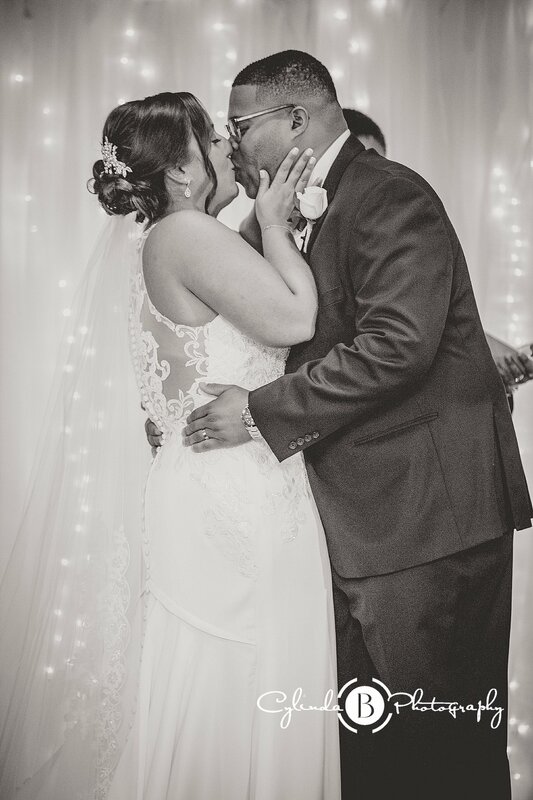 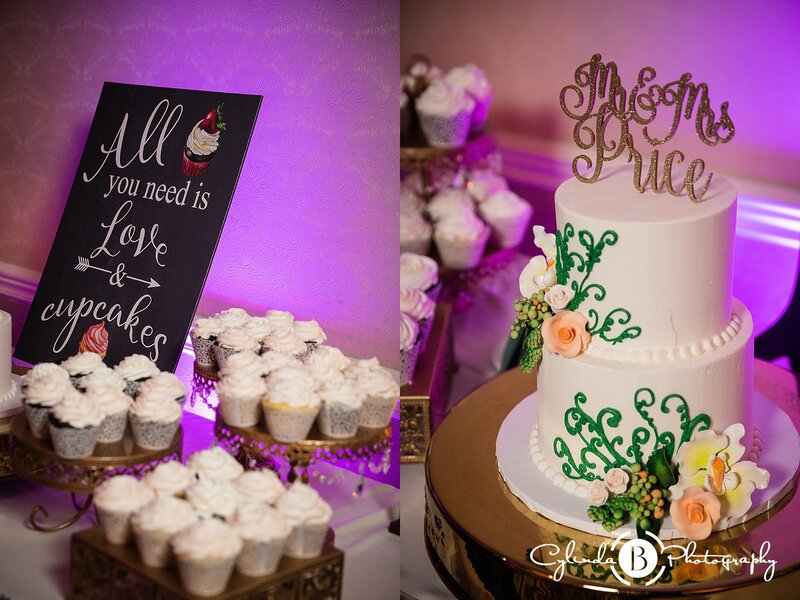 Big thank you to everyone who helped make their day so special! 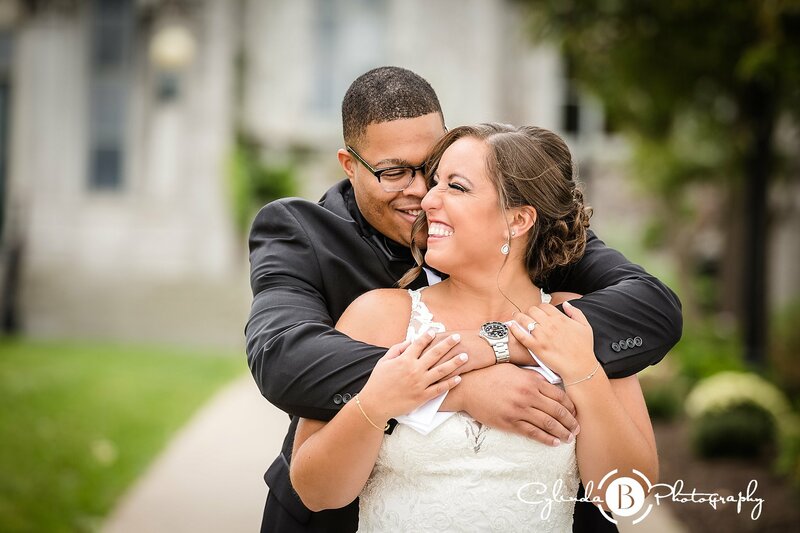 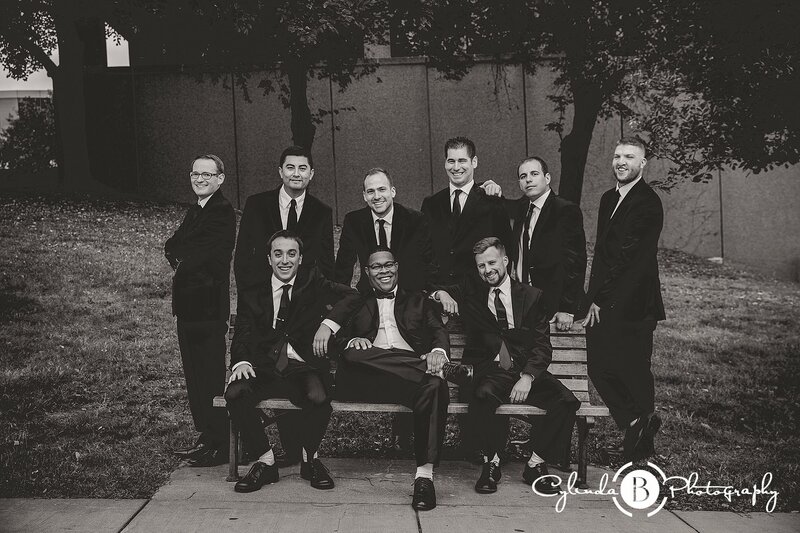 Videography: The AMAZING Kammer Films so wonderful working with y’all!